Last week, I asked you to find me the best luxury cars on CL for under $10,000. You guys didn’t disappoint, and I received dozens of submissions. Now, I’ve compiled what are (in my opinion), the five best. I’m sorry that I’m unable to post links, as some of the ads have disappeared. This is not Matt Farah’s Million Mile Lexus. This LS (courtesy of Nibby, Eggplant Wizard PhD) is the refreshed version of the second generation of Lexus’s flagship sedan. With an $8900 asking price and only about 66,000 miles, this LS looks to be in good condition for its age. The smooth V8 produces 290 horsepower, which is more than enough to pull this comfortable and refined cruiser around. A CL on CL? Who would have thought of that? However, this is no ordinary Mercedes CL. Instead, this is the mad, 355 horsepower AMG version (courtesy of AMGtech). Granted, the later models produced another 138 horsepower thanks to a supercharger, but this model is no slouch, hitting 60 in well under 6 seconds. It’s still very luxurious, too, as it also features heated and cooled seats, a Bose sound system, and navigation. The only downside of this $9995 example seems to be the 128,000+ miles the car has traveled. This Lexus GS (courtesy of Miss Mercedes Smart Expert) may not seem like an obvious choice, but as soon as someone she it, I knew it was going on the list. Let me explain why: my friend’s dad has a GS330 of the same generation, and it is fantastic. It is exactly everything that you think about when you hear the word “Lexus.” It’s comfortable, it’s quiet, it rides nice, and it’s just a relaxed, easygoing car. It doesn’t hurt that this car costs only $10,000 and comes with tons of features. Like the CL, though, it has extremely high mileage: over 139,000. But don’t worry, it’ll still be reliable. This car (courtesy of Vicente Esteve) needs no introduction, mainly because it’s been trending on Jalopnik and Oppositelock for the past few days. For $8,397, you are basically getting a Bentley with a relatively low 88,000 miles. Admit it, you’ve always wanted a Phaeton. It is the ultimate in “stealth wealth,” for well under $10,000. 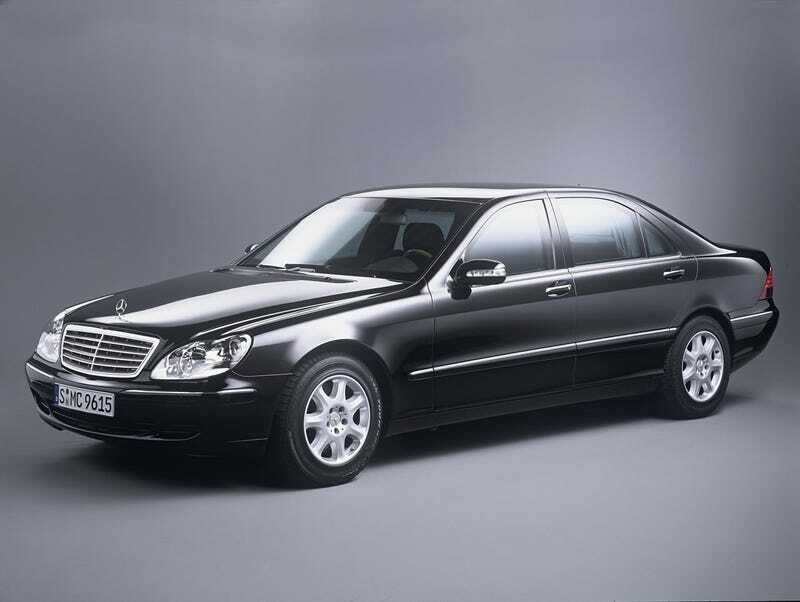 There are exactly two reasons why this car is better than the Phaeton: 1) it’s a Mercedes S-class and 2) it has a V12. Yes, that’s right, folks! You can buy a 12 cylinder Mercedes (once again courtesy of AMGtech, who definitely isn't a Mercedes fanboy) for $9995. Unfortunately, this is another car with high mileage (127,000), but look at that LEGROOM. If you want to look wealthy for not much money, this is your car.